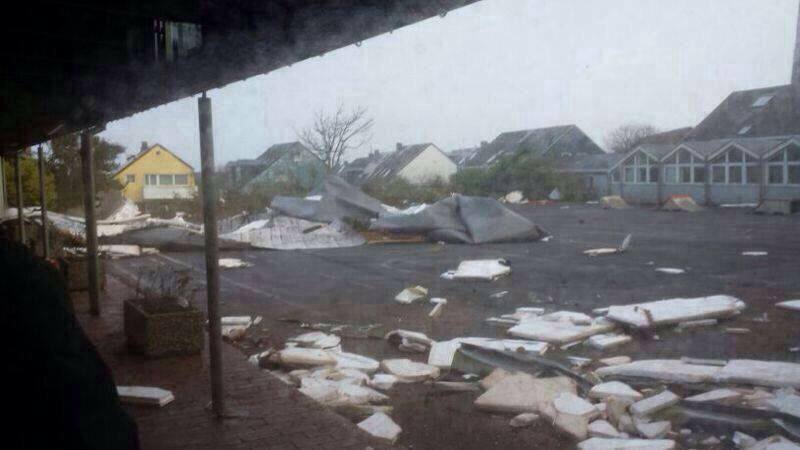 After extremely severe wind gusts across the North Sea and surroundings in the HIGH risk area of DAY 1 Outlook for 28/10/2013, significant damage has been reported from Helgoland island, Germany. 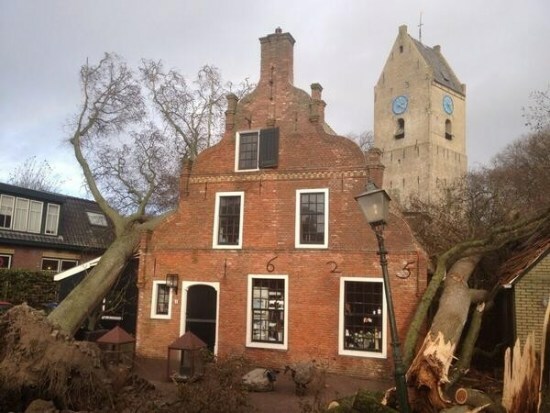 Wind gusts were reaching up to around 190 km/h! Significant straight-line winds damage to large fallen/uprooted trees also reported from Ameland, the Netherlands. 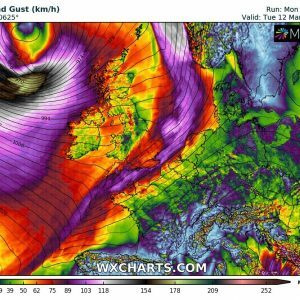 Stay tuned for more updated on this powerful storm and continue tracking it on Ireland radar, UK radar, France radar, Belgium radar, Netherlands radar and satellite pages.